These Terms and Conditions apply to the issue and use of a Saltirecard issued by Eve Coaches Ltd.
compliance with the Conditions of Carriage in addition to these Terms and Conditions. 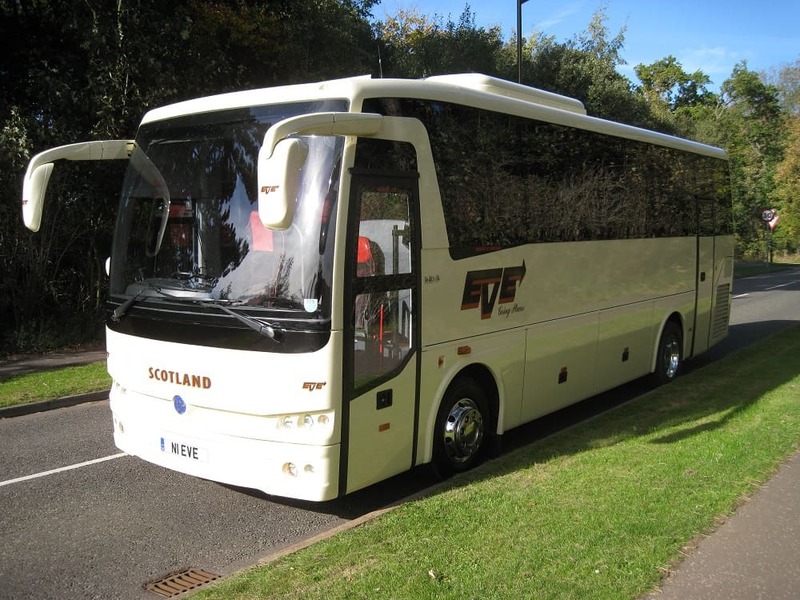 The Saltirecard is and shall remain the property of Eve Coaches Ltd at all times. suspension or cancellation of a Saltirecard in accordance with the Terms and Conditions. “Condition of Carriage” means the regulations and terms and conditions of each Participating Operator. “Customer” means the user of the Saltirecard. 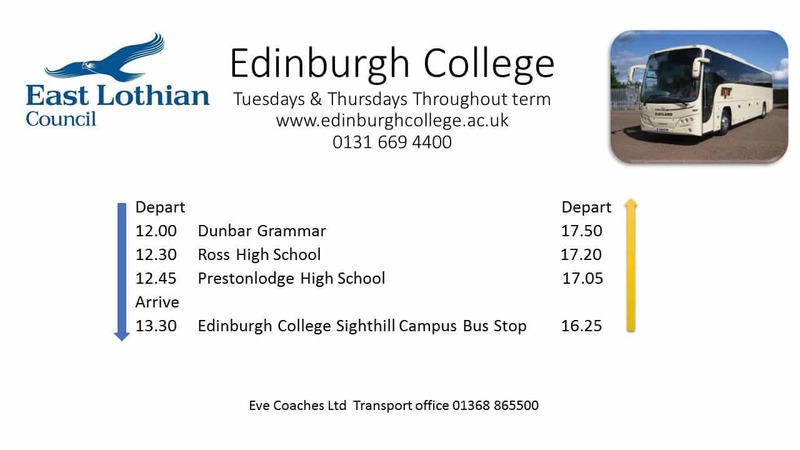 “Offline Purchase” means the purchase of a Saltirecard or a product to a Saltirecard from the office at Eve Coaches Ltd, Spott Road, Dunbar, East Lothian EH42 1RS. 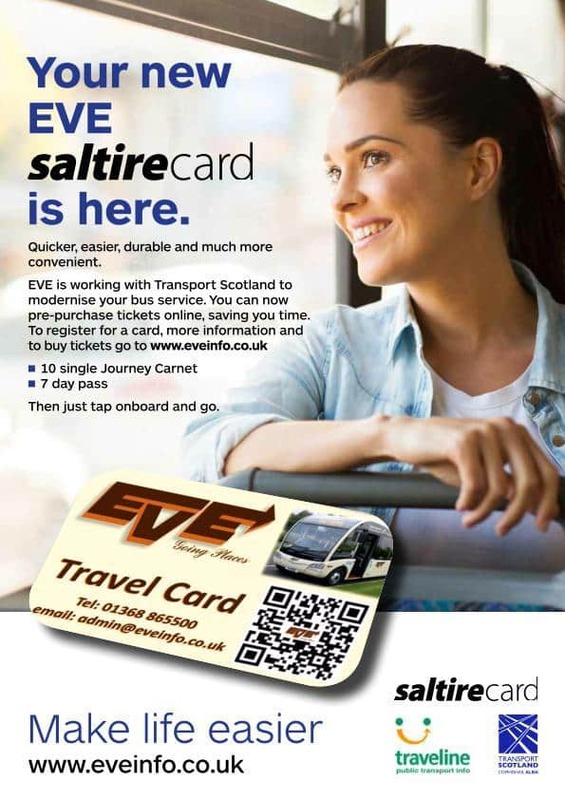 “Saltirecard” means a transport smartcard with the Saltirecard branding that can be loaded with electronic travel products for the use on Eve Coaches Ltd bus services and is issued by Eve Coaches Ltd.
A saltirecard can only be obtained at the time of purchasing a Product and all saltirecards will be subject to a fee which may be waived at the sole discretion of Eve Coaches Ltd from time to time. The person to whom the saltirecard has been issued is responsible for the use of that saltirecard. Anybody using the saltirecard fraudulently may be liable for possible prosecution. credit or ticket validity on the saltirecard. Failure to do so may result in the issue of a penalty fee. 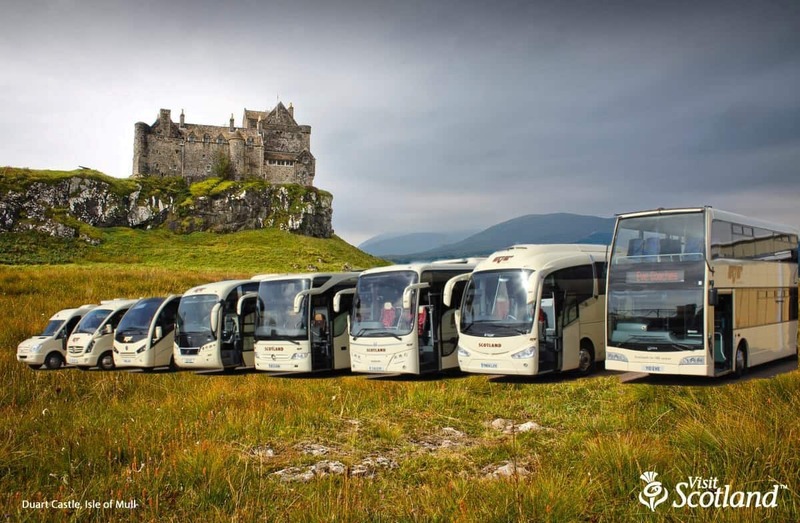 Eve Coaches Ltd will not be liable for any additional travel costs incurred as a result of the circumstances above. Eve Coaches Ltd may at its sole discretion withdraw the saltirecard if it believes that it has been intentionally misused, damaged, defaced, altered or tampered with in any way. 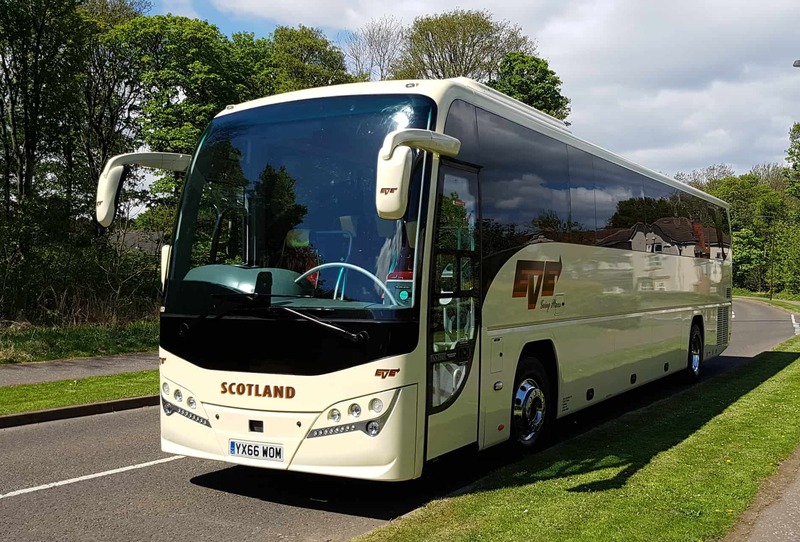 Eve Coaches Ltd reserves the right to cancel the saltirecard and retain any outstanding value on the saltirecard If it has not been used for a period of 2year from the date the product was loaded or otherwise not collected onto the saltirecard. The saltirecard scheme may be withdrawn at any time at Eve Coaches Ltd sole discretion. The Customer may be entitled to a full refund of any remaining value or Ticket validity on the saltirecard and no administration fee will apply where the scheme is withdrawn by Eve Coaches Ltd.
At the time of travel the saltirecard must be presented to and placed on the electronic reader to verify entitlement to travel. The electronic reader will beep to indicate and or indicate with a green light and is has successfully read the saltirecard and there is valid Product allowing travel on the service. The customer will not be able to travel on the service until the electronic reader had read the saltirecard and validated its travel rights. Saltirecards that do not read or do not have valid Product will not be accepted and a charge for the journey will be applicable. The Customer will not be able to continue to travel on the service until payment for the journey has been made or may be asked to alight the service and be subject to a penalty fine. Customers with a saltirecard can register for an Online Account via Eve Coaches Ltd website. 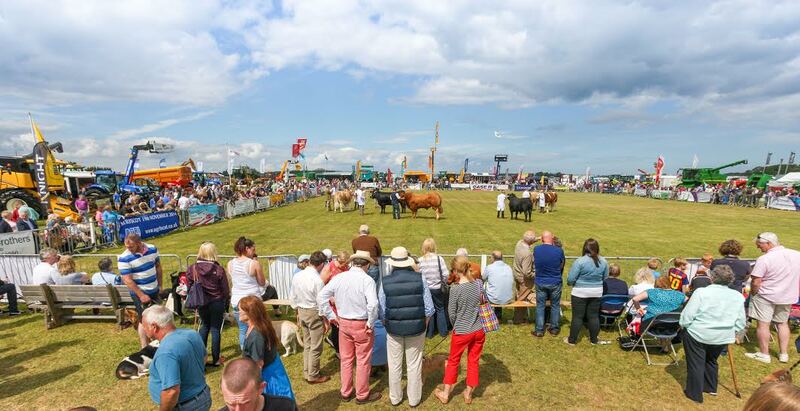 In order to register for an Online Account must supply their name, address, post code, date of birth, an e-mail address and daytime contact telephone number. For all new saltirecards loaded with a Product online, the saltirecard will be sent to the customer within five working days. It is the customer’s responsibility to ensure that all account details are kept up to date at all time. 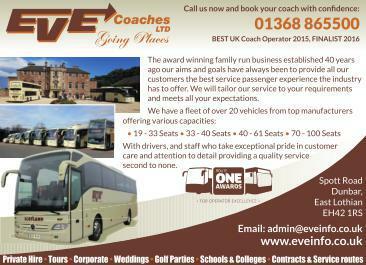 Eve Coaches Ltd cannot be held responsible for issues relating to inaccurate information. Eve Coaches Ltd reserves the right to amend the online application process without notification. saltirecard account unless it is directly caused by Eve Coaches Ltd.
Eve Coaches will not be liable for any travel costs incurred as a result of the failure to collect and load products to a saltirecard on or before the start date of a product when purchased online. errors can only be rectified at the time of sale. In the case of a lost, stolen or damaged saltirecards, customers who have registered their saltirecard to an Online Account can apply for a replacement of their saltirecard. The customer must notify Eve Coaches Ltd immediately. The Customer’s original saltirecard will be cancelled to prevent unauthorised use. 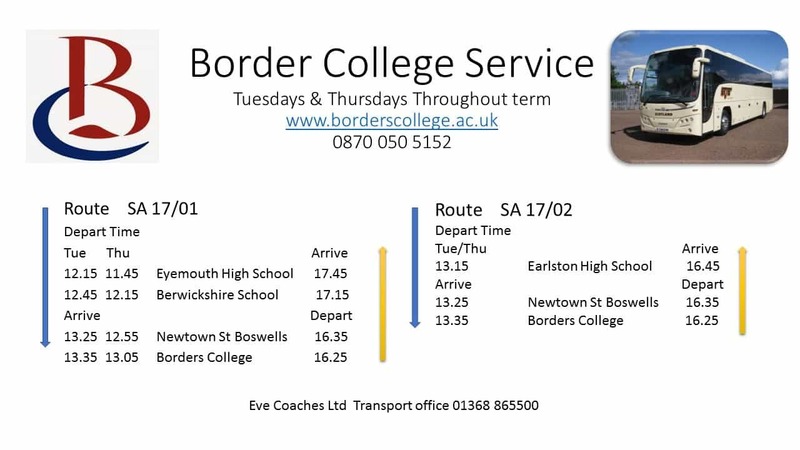 A replacement fee of £5.00 will be payable at the time of notifying Eve Coaches Ltd.
is awaiting the replacement saltirecard. • the use or issue of saltirecards, including but not limited to the saltirecard failing to reach the saltirecard customer by post. • the cancellation of the Customer’s saltirecard by Eve Coaches Ltd. If a saltirecard Customer cannot travel due to any equipment, software or system for saltirecards failing, the appropriate full fare will be charged. Any such failure should be reported to Eve Coaches Ltd who will investigate the failure. Eve Coaches Ltd shall not be liable to the Customer for any losses they may incur as a result of Customer failing to notify Eve Coaches Ltd of a change in the Customer’s personal details. Where the Customer has purchased any product using their saltirecard, Eve Coaches Ltd shall have no liability to the Customer if they cannot use their saltirecard due to it or a service not being operational for any reason. Any such failure should be reported to Eve Coaches Ltd who will investigate the failure.